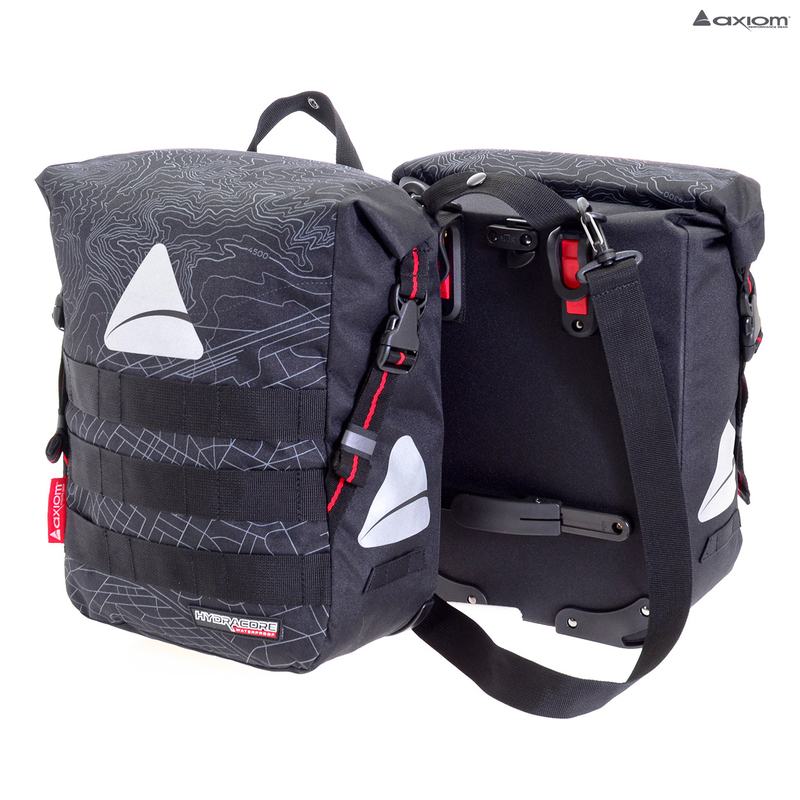 Construction: 600D Polyester construction with waterproof Hydracore inner ensures a waterproof seal and ensures a waterproof seal and enhances long-term durability; Triple webbing tie-downs allow variable size/shape loads to be carried outside of the bag cavity. Ideal for attaching U-locks. Mounting System: Rixen & Kaul Vario 2 spring-loaded hooks immediately adjust from 6mm-16mm, without any need for tools. The Rixen & Kaul lower Slide-Lock rail and Flip-Lock hold panniers firmly in place.